Dmitriy Yurievich Shemyaka was the second son of Yury of Zvenigorod by Anastasia of Smolensk and grandson of Dmitri Donskoi. His hereditary patrimony was the rich Northern town Galich-Mersky, Shemyaka was twice Grand Prince of Moscow. 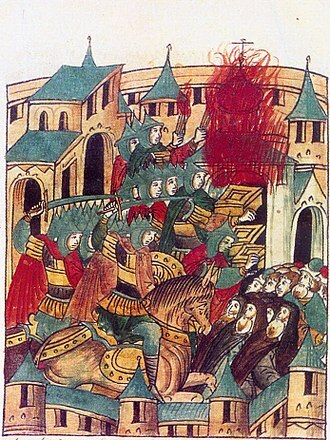 The causes of the Muscovite Civil War waged in the quarter of the 15th century are still disputed. 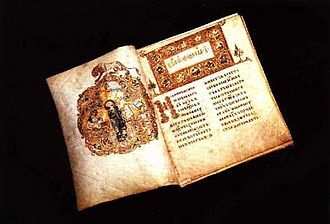 The testament provided for the accession of his son, Vasily I, in the event of Vasily having no surviving son at his death, his brother, Dmitrys second son, Yury of Zvenigorod, was to succeed as grand prince in Moscow. 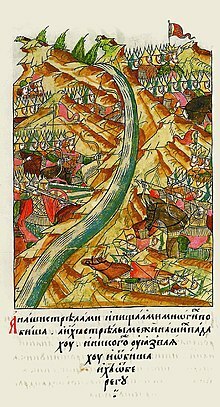 Yurys son, Dmitry Shemyaka, actively participated in all of his fathers incursions against Moscow, culminating in Yurys capture of Moscow, Yury of Zvenigorod died in Moscow in 1434. After Yurys death, Shemyaka continued to press his branchs claim to the princely throne. 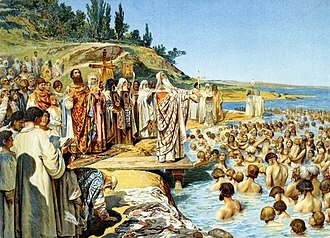 Initially and his younger brother Dmitry Krasnyi concluded an alliance with Vasily against their elder brother Vasily Kosoy and they succeeded in driving Kosoy from Moscow and were rewarded with the towns of Uglich and Rzhev. The following year Shemyaka came to Moscow in order to invite Vasily II to his wedding with a princess of Yaroslavl. Released several months later, he was sent by Vasily II to defend Belyov against an army of the Kazan Khan Olug Moxammat but was defeated. Thereupon he refused to support Vasily in his hostilities against the khan and he could claim this by right of lateral inheritance since his father had sat on the throne. 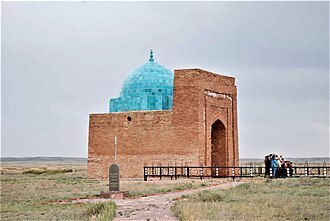 Shemyakas lack of support among the Muscovite boyars forced him, however, to leave the city for Lake Chukhloma, despite several peace treaties, Shemyaka continued to plot against his cousin. He suffered a series of defeats in 1450 and 1452 which forced him to refuge in Novgorod. Delighted at the news, Vasily II ennobled a herald who had first brought him the message of Shemyakas death, nikolai Karamzin famously wrote in his history that the grand prince showed indecent joy at the news of his rivals untimely demise. According to chronicle sources, Shemyaka was buried in the Church of St, in the aftermath of Shemyakas murder, his wife and son fled Novgorod to the Grand Duchy of Lithuania, where they were given Rylsk and Novgorod-Seversky in appanage. The ruble or rouble is or was a currency unit of a number of countries in Eastern Europe closely associated with the economy of Russia. Originally, the ruble was the unit of Imperial Russia and the Soviet Union. The Russian ruble is used in the partially recognised states of Abkhazia. In the past, several other countries influenced by Russia and the Soviet Union had currency units that were named rubles, one ruble is divided into 100 kopeks. According to one version, the ruble is derived from the Russian verb рубить, to cut, to chop, to hack. Rubles were parts of the grivna or pieces of silver with notches indicating their weight, each grivna was divided into four parts, the name ruble came from the word cut because the silver rod weighing 1 grivna was split into four parts, which were called rubles. Another version of the origin is that it comes from the Russian noun рубец. Therefore, the word means a cast with a seam. A popular theory deriving word ruble from rupee is probably not correct, the ruble was the Russian equivalent of the mark, a measurement of weight for silver and gold used in medieval Western Europe. The weight of one ruble was equal to the weight of one grivna, in Russian, a folk name for ruble, tselkovyj, is known, which is a shortening of the целковый рубль, i. e. a wholesome, uncut ruble. This name persists in the Mordvin word for ruble, целковой, the word kopek, copeck, or kopeyka is a diminutive form of the Russian kopyo — a spear. The first kopek coins, minted at Novgorod and Pskov from about 1534 onwards, from the 1540s onwards the horseman bears a crown, and doubtless the intention was to represent Ivan the Terrible, who was Grand Prince of all Russia until 1547, and Tsar thereafter. Subsequent mintings of the coin, starting in the 18th century, since the monetary reform of 1534, one Russian accounting ruble became equivalent to 100 silver Novgorod denga coins or smaller 200 Muscovite denga coins or even smaller 400 polushka coins. Exactly the former coin with a rider on it became colloquially known as kopek and was the higher coin until the beginning of the 18th century. Ruble coins as such did not exist till Peter the Great, apart from one ruble and one kopek coins other smaller and greater coins existed as well. Vasili III Ivanovich was the Grand Prince of Moscow from 1505 to 1533. He was the son of Ivan III Vasiliyevich and Sophia Paleologue and was christened with the name Gavriil. 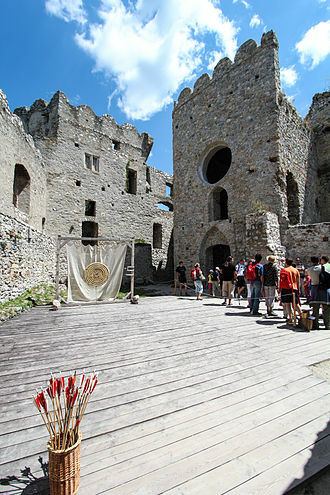 He had three brothers, born in 1480, born in 1487 and Andrei, born in 1490, as well as five sisters, Feodosiya, another Elena, another Feodosiya and Eudoxia. Vasili III continued the policies of his father Ivan III and spent most of his reign consolidating Ivans gains, Vasili annexed the last surviving autonomous provinces, Pskov in 1510, appanage of Volokolamsk in 1513, principalities of Ryazan in 1521 and Novgorod-Seversky in 1522. 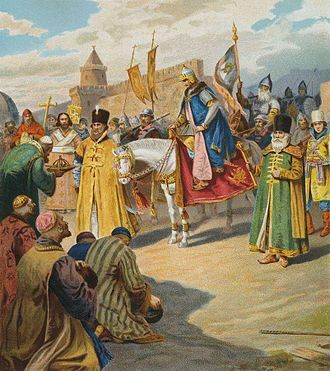 Vasili was equally successful against the Crimean Khanate, although in 1519 he was obliged to buy off the Crimean khan, Mehmed I Giray, under the very walls of Moscow, towards the end of his reign he established Russian influence on the Volga. 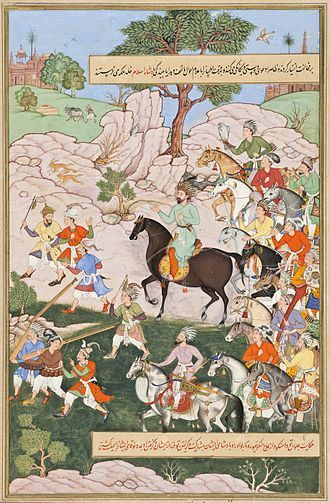 In 1531–32 he placed the pretender Cangali khan on the throne of Khanate of Kazan, regarding internal policy, Vasili III enjoyed the support of the Church in his struggle with the feudal opposition. In 1521, metropolitan Varlaam was banished for refusing to participate in Vasilis fight against an appanage prince, rurikid princes Vasili Shuisky and Ivan Vorotynsky were sent into exile. The diplomat and statesman, Ivan Bersen-Beklemishev, was executed in 1525 for criticizing Vasilis policies, maximus the Greek, Vassian Patrikeyev and others were sentenced for the same reason in 1525 and 1531. 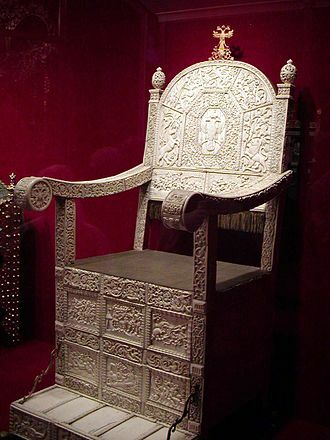 During the reign of Vasili III, the landownership of the increased, while authorities actively tried to limit immunities and privileges of boyars. By 1526 when he was 47 years old, Vasili had been married to Solomonia Saburova for over 20 years with no heir to his throne being produced, conscious of her husbands disappointment, Solomonia tried to remedy this by consulting sorcerers and going on pilgrimages. 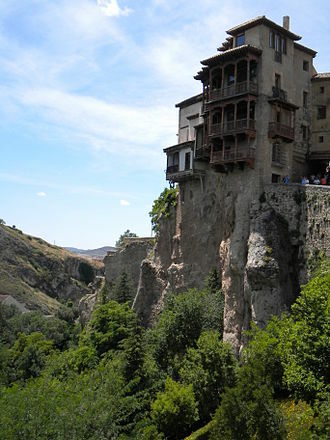 When this proved unsuccessful, Vasili consulted the boyars, announcing that he did not trust his two brothers to handle Russias affairs, not many of the boyars approved of his choice, as Elena was of Catholic upringing. Vasili was so smitten that he defied Russian social norms and trimmed his beard to appear younger, after three days of matrimonial festivity, the couple consummated their marriage, though initially it appeared that Elena was as sterile as Solomonia. 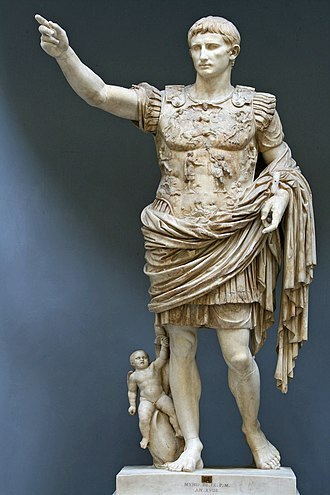 The Russian populace began to suspect this was a sign of Gods disapproval of the marriage, however, to the great joy of Vasili and the populace, the new tsaritsa gave birth to a son, who would succeed him as Ivan IV. Three years later, a son, was born. According to a story, Solomonia Saburova bore a son in the convent where she had been confined, whilst out hunting on horseback near Volokolamsk, Vasili felt a great pain in his right hip, the result of an abscess. He was transported to the village of Kolp, where he was visited by two German doctors who were unable to stop the infection with conventional remedies. Believing that his time was short, Vasili requested to be returned to Moscow, by 25 November 1533, Vasili reached Moscow and asked to be made a monk before dying. Daniil Aleksandrovich was the youngest son of Alexander Nevsky and forefather of all the Grand Dukes of Moscow. Daniel was born in 1261 in Vladimir, the capital of the Great Vladimir-Suzdal principality, one of the most junior princes in the House of Rurik, Daniel is thought to have been named after his celebrated relative, Daniel of Galicia. His father died when he was two years old. Of his fathers patrimonies, he received the least valuable, when he was a child, the tiny principality was being governed by tiuns, appointed by his paternal uncle, Grand Prince Yaroslav III. Daniel took part in his brothers—Dmitri of Pereslavl and Andrey of Gorodets—struggle for the right to govern Vladimir and Novgorod, after Dmitrys death in 1294, Daniel made an alliance with Mikhail of Tver and Ivan of Pereslavl against Andrey of Gorodets of Novgorod. Daniels participation in the struggle for Novgorod in 1296 indicated Moscows increasing political influence, the prince of Ryazan, tried to capture the Moscow lands with the help of a Mongol force. Prince Daniel defeated it near Pereslavl and this was a first victory over the Tatars, though not a tremendous victory, but it was noteworthy as a first push towards freedom. In 1300, he imprisoned the ruler of the Ryazan Principality by some ruse, to secure his release, the prisoner ceded to Daniel his fortress of Kolomna. It was an important acquisition, as now Daniel controlled all the length of the Moskva River, in 1302 his childless nephew and ally, Ivan of Pereslavl, bequeathed to Daniel all his lands, including Pereslavl-Zalessky. During the Mongol occupation and internecine wars among the Rus princes, during 30 years of ruling Daniel participated in battles only once. 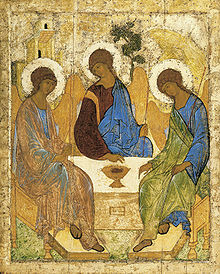 According to legend, Daniel was popular and respected by his subjects for his meekness, Daniel has been credited with founding the first Moscow monasteries, dedicated to the Lords Epiphany and to Saint Daniel. On the right bank of the Moskva River, at a distance of 5 miles from the Moscow Kremlin not than in 1282 he founded the first monastery with the church of St.
Ivan III Vasilyevich, known as Ivan the Great, was a Grand Prince of Moscow and Grand Prince of all Rus. He was one of the longest-reigning Russian rulers in history, Ivans rule is marked by what subsequent Russophile historians called the Gathering of the Russian Lands. Ivan brought the independent duchies of different Rurikid princes under the control of Moscow, leaving the princes. His first enterprise was a war with the Republic of Novgorod and these wars were waged over Moscows religious and political sovereignty, and over Moscows efforts to seize land in the Northern Dvina region. Ivan visited Novgorod Central several times in the several years, persecuting a number of pro-Lithuanian boyars. 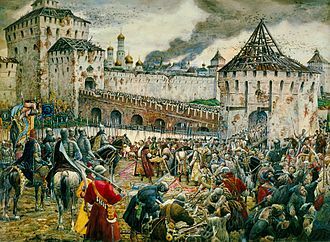 In 1477, two Novgorodian envoys, claiming to have been sent by the archbishops and the entire city, Ivan dispossessed Novgorod of more than four-fifths of its land, keeping half for himself and giving the other half to his allies. 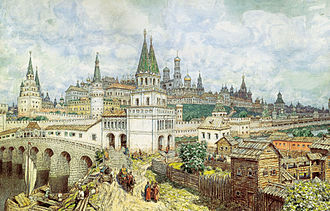 Subsequent revolts were punished by the en masse of the richest and most ancient families of Novgorod to Moscow, Vyatka. Archbishop Feofil was removed to Moscow for plotting against the Grand Prince, the rival republic of Pskov owed the continuance of its own political existence to the readiness with which it assisted Ivan against its ancient enemy. 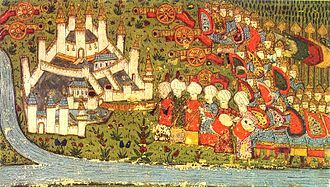 The other principalities were eventually absorbed by conquest, purchase, or marriage contract, The Principality of Yaroslavl in 1463, Rostov in 1474, Tver in 1485, the eldest, died childless on 12 September 1472. 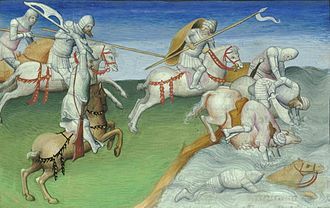 He only had a draft of a will that said nothing about his land, Ivan seized the land, much to the fury of the surviving brothers, who he placated with some land. 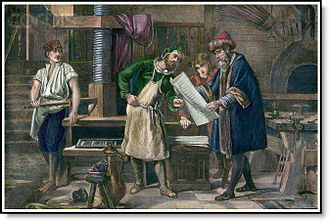 Boris and Andrei the Elder signed treaties with Vasily in February and they agreed to protect each others land and not to have secret dealings with foreign states, they broke this clause in 1480, fleeing to Lithuania. It is unknown whether Andrei the Younger signed a treaty and he died in 1481, leaving his lands to Ivan. In 1491 Andrei the Elder was arrested by Ivan for refusing to aid the Crimean Tatars against the Golden Horde and he died in prison in 1493, and Ivan seized his land. 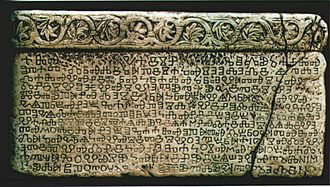 The female form transliterated from Bulgarian and Russian is knyaginya, kniahynia in Ukrainian, kneginja in Slovene and Serbian. In Russian, the daughter of a knyaz is knyazhna, in Ukrainian is kniazivna, in Russian, the son of a knyaz is knyazhich. The title is pronounced and written similarly in different European languages, in Croatian and West Slavic languages, such as Polish, the word has come to denote lord, and in Czech and Slovak came to mean priest as well as duke. In Sorbian it means simply Mister, today the term knez is still used as the most common translation of prince in Bosnian and Serbian literature. Knez is found as a surname in former Yugoslavia, in Finnish knyaz is translated more like the word ruhtinas. 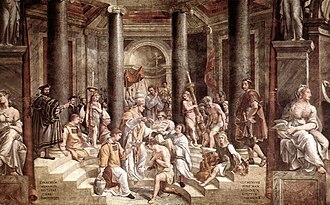 Ruhtinas comes from Proto-Germanic word druhtinaz, what can be translated as warlord, in Finland tsar was officially called as suuriruhtinas after the Grand Principality of Finland. Suuriruhtinas in English means grand prince, in Russian velikiy knyaz, the meaning of the term changed over the course of history. Initially the term was used to denote the chieftain of a tribe, with the development of feudal statehood, it became the title of a ruler of a state, and among East Slavs, for example, of Kievan Rus. 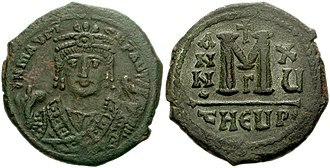 In medieval Latin sources the title was rendered as either rex or dux, in Bulgaria, Simeon took the title of tsar in 913. In Kievan Rus, as the degree of centralization grew, the acquired the title Velikii Knyaz. 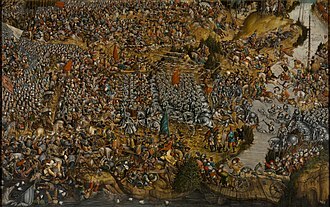 He ruled a Velikoe Knyazivstvo, while a ruler of its vassal constituent was called udelny knyaz or simply knyaz, as noted above, the title knyaz or kniaz became a hereditary noble title in the Grand Duchy of Moscow and the Grand Duchy of Lithuania. Following the union of the Kingdom of Poland and the Grand Duchy of Lithuania, notable holders of the title kniaź include Jeremi Wiśniowiecki. As the Tsardom of Russia gained dominion over much of former Kievan Rus, from the mid-18th century onwards, the title Velikii Kniaz was revived to refer to sons and grandsons of Russian Emperors. See titles for Tsars family for details, Kniaz continued as a hereditary title of Russian nobility patrilineally descended from Rurik or Gediminas. 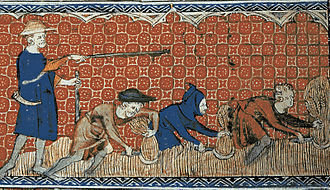 The early modern period of modern history follows the late Middle Ages of the post-classical era. Historians in recent decades have argued that from a worldwide standpoint, the period witnessed the exploration and colonization of the Americas and the rise of sustained contacts between previously isolated parts of the globe. 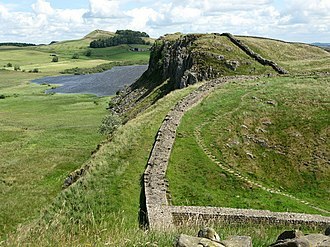 The historical powers became involved in trade, as the exchange of goods, plants and food crops extended to the Old World. The Columbian Exchange greatly affected the human environment, New economies and institutions emerged, becoming more sophisticated and globally articulated over the course of the early modern period. This process began in the medieval North Italian city-states, particularly Genoa, the early modern period included the rise of the dominance of the economic theory of mercantilism. The European colonization of the Americas and Africa occurred during the 15th to 19th centuries, the early modern trends in various regions of the world represented a shift away from medieval modes of organization and economically. Historians typically date the end of the modern period when the French Revolution of the 1790s began the modern period. Early modern themes Other In 16th century China, the Ming Dynastys economy was stimulated by trade with the Portuguese, Spanish. China became involved in a new trade of goods, animals. Trade with Early Modern Europe and Japan brought in massive amounts of silver, during the last decades of the Ming the flow of silver into China was greatly diminished, thereby undermining state revenues and the entire Chinese economy. 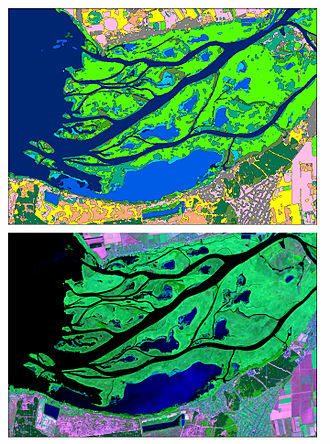 This damage to the economy was compounded by the effects on agriculture of the incipient Little Ice Age, natural calamities, crop failure, the ensuing breakdown of authority and peoples livelihoods allowed rebel leaders such as Li Zicheng to challenge Ming authority. The Ming Dynasty fell around 1644 to the Qing Dynasty, which was the last ruling dynasty of China, during its reign, the Qing Dynasty became highly integrated with Chinese culture. The Azuchi-Momoyama period saw the unification that preceded the establishment of the Tokugawa shogunate. Coat of arms of the Palaiologos dynasty, the last rulers of the Byzantine Empire. 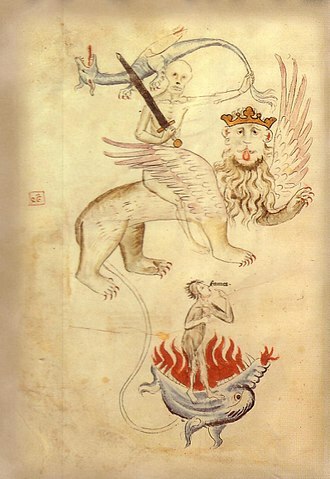 A page from Svyatoslav's Miscellanies (1073). The Palace of Facets (1487–91) was commissioned by Ivan to Italian architects. 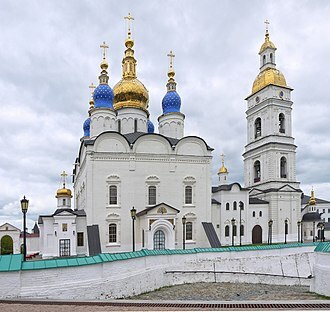 The Dormition Cathedral by Fioravanti laid claim as the mother church of all Rus'. The Church of Ascension was built by Vasili III to commemorate the birth of his heir. Russian rubles – banknotes of 1000 and 5000 rubles. 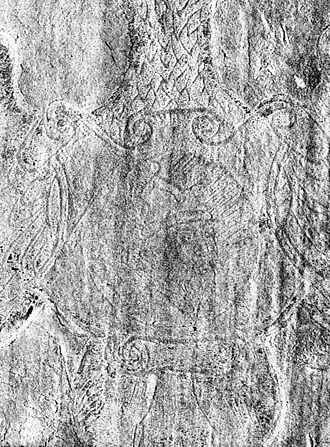 Marble relief of a double-headed eagle in the Church of St Demetrios in Mystras, marking the spot where Constantine XI was crowned. Pre-reform kopecks, dengas, and polushkas minted during the reign of Tsar Ivan III in the 15th century. A post-reform silver denga minted during the reign of Tsar Ivan IV in the 16th century. A copper denga minted during the reign of Tsar Peter I in 1704. 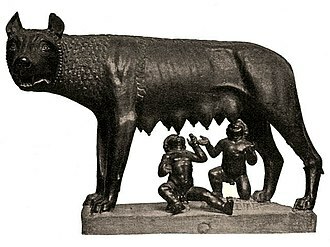 She-wolf with Romulus and Remus, original symbol of Rome, still present in Mussolini's "Third Rome"
The title knez appeared in the early 12th-century Glagolitic Baška tablet inscription, found on the island of Krk, Croatia. Kneaze Alexey Michailovitz, 1664 (Tsar Alexis I of Russia). Reconstruction by Sergey Nikitin, 1994. Destruction of Sophia Palaiologina grave in 1929. Execution of Mikhail at the Golden Horde, by Vasily Vereshchagin. Meeting of Shemyaka with Vasily II after the Latter's Blinding.